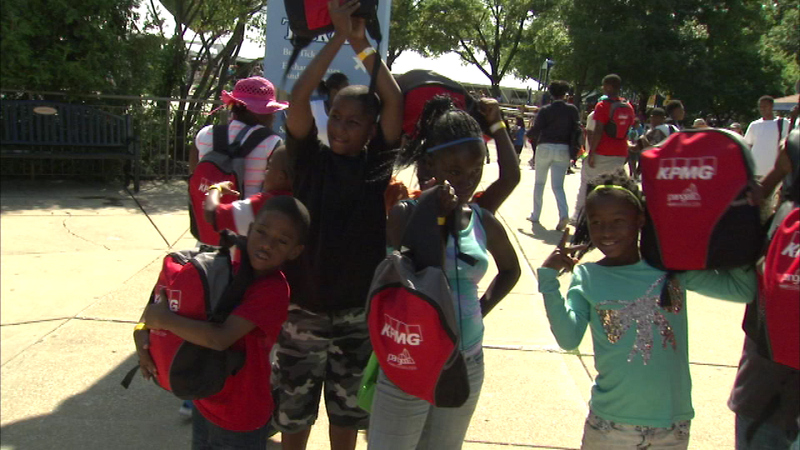 CHICAGO (WLS) -- Four hundred young students from the Chicago Housing Authority received backpacks loaded with everything they need for a successful school year at the Brookfield Zoo Wednesday. The zoo and several other groups donated backpacks, each of them loaded with school supplies. The kids were treated to one last blast of summer including special encounters with the zoo's permanent residents.